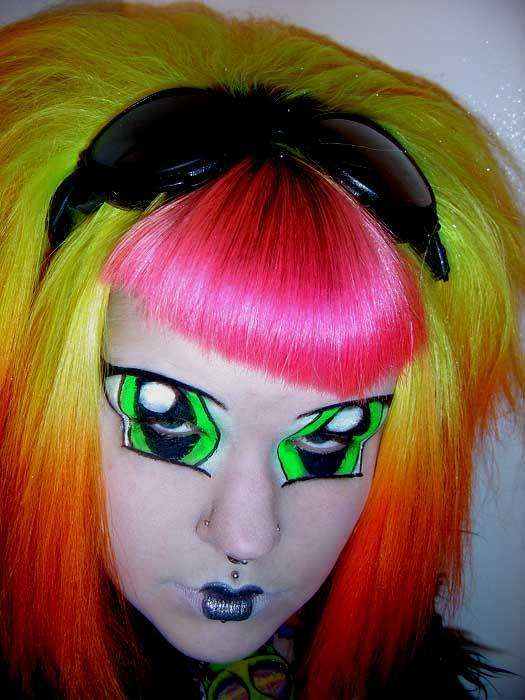 There's nothing like killer eye makeup to accentuate your face. After all, eyes are the windows to the soul, right? You've gotta do them justice. These eye makeup innovations are sure to inspire your holiday winter look, whether you choose mangafied eyeshadow or personalized false eyelashes. Check out these and more killer eye makeup ideas below. Implications - Fashionistas are increasingly using avant-garde makeup to set off their look. Eyeshadow, eye liner and false eyelashes are just some of the manifestations of this phenomenon. Companies can take advantage of this theme by releasing consumer products that make it easier for consumers to apply scintillating, eye-catching makeup at home, saving a trip to a professional makeup artist.